The Construction industry is unique in several ways from a fleet management point of view. Firstly, the many kinds of vehicles and assets to be kept track of, and maintained. Then the numerous and varying construction sites with assets scattered all over. No wonder then that it calls for a versatile fleet management solution that delivers meaningful ROI for all vehicle and asset classes. Azuga’s fleet solution with its heavy emphasis on ROI is particularly suited to the construction industry. The secret of productivity lies in utilization and when you know exactly where each mobile crane or heavy truck is, and when you can deploy your service vehicles and compressors as needed on time, your projects progress briskly. Azuga’s tools for asset management also safeguard your equipment when they are not at work. Moreover, Geofence alerts are a proven way to avert theft and unauthorized activity. When your project is done, it’s important to ensure that every single one of your valuable assets from the site has been properly accounted for and reassigned. Keeping track of all your assets and moving it in time to the next destination is in fact a regular challenge and holds the key to minimizing downtime and maximizing productivity. Azuga has upgraded its ROI Calculator, and it’s enabling clients to identify new areas to make further savings. Every additional saving contributes significantly over time to the solution’s ROI. The versatile solution impacts several operational aspects—compliance, lowering of risk, the safety of personnel and equipment, maintenance expense, business reputation, and carbon footprint. Real-time fleet data enables your customer service personnel to inform customers of arrival time accurately. Customers appreciate being provided actual information from the tracking system. In some construction site locations, due to the neighborhood, there are constraints on the allowed working hours. The tracking solution enables the fleet manager to monitor activity on a remote site to make sure there are no violations that can locally affect the customer. Then, there’s the matter of knowing exactly how long a specialized equipment was pressed into service on the site. The easily accessed historical records aid the company in billing the customer in an accurate and verifiable way. It also becomes possible to measure the ROI from various kinds of construction fleet assets. There are already many hazards on a construction site, and the fleet manager wants to avoid any incident involving their vehicles and personnel. For example, the equipment needs to be driven with greater caution and operate under much lower speed limits due to their design, weight, and shape. This is where the use of customized alerts on such vehicles plays a major role. The fleet manager can receive the alert on a phone when there is a speeding instance. Taking active measures to promote safety saves a construction company plenty in terms of litigation, damages, repairs and also insurance costs. Azuga has developed an algorithm for assessing the safety score for a driver based on his or her braking, acceleration and speeding activity. This forms an objective basis on which drivers evaluated as unsafe can be given specific coaching to improve those behaviors. Our clients have achieved remarkable improvements in safety scores within weeks of deployment. 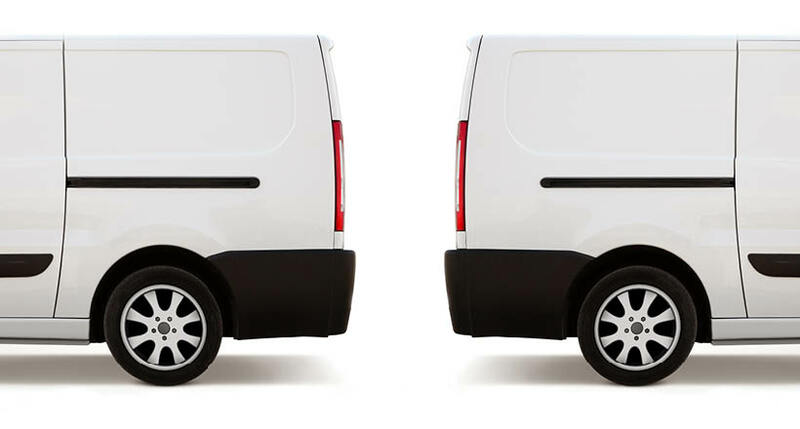 This reduces risk liability and further, insurance companies are able to charge the fleet less annual premium. This is another substantial ROI for our clients. 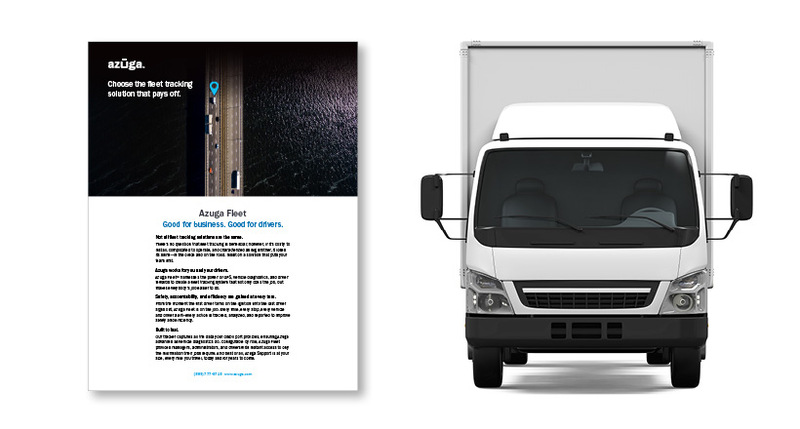 Azuga’s effectiveness in improving our clients’ fleet safety scores in a matter of weeks is due to its built-in rewards platform. It helps a company to give out frequent, small tokens of appreciation that reinforce good behavior. These incentives do more to improve driver performance than warnings. Not only that, it improves relations between supervisors and drivers and helps in driver retention. 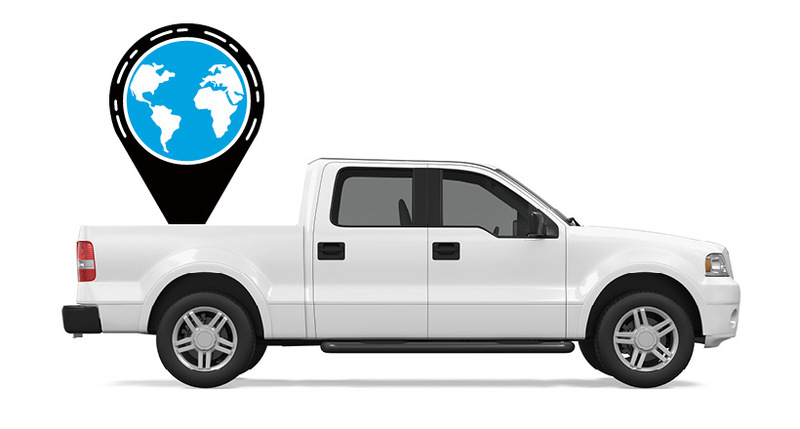 Owing to the exact vehicle locations being known, there’s more efficient dispatching. Construction fleets have an assorted fleet of assets, so maintenance alerts prove very useful to keep the equipment all in efficient working condition. Our clients have reported lower maintenance cost because reduced idling (due to monitoring) means less engine wear and also lower fuel wastage. It’s possible to bring down fuel cost by up to 10%, and maintenance too by up to 20%. At Azuga, we help clients to compute the savings each quarter through our data analytics reporting, thus delivering on our ROI-oriented approach to fleet tracking. Azuga’s Data Science team also offers customized reports to construction businesses which are useful in planning for retiring old equipment, expanding the asset base, and in cost estimation for customer projects. GPS tracking is not a one-dimensional solution. It involves human behavior and big data and deployed rightly, is the foundation for a versatile fleet management solution.